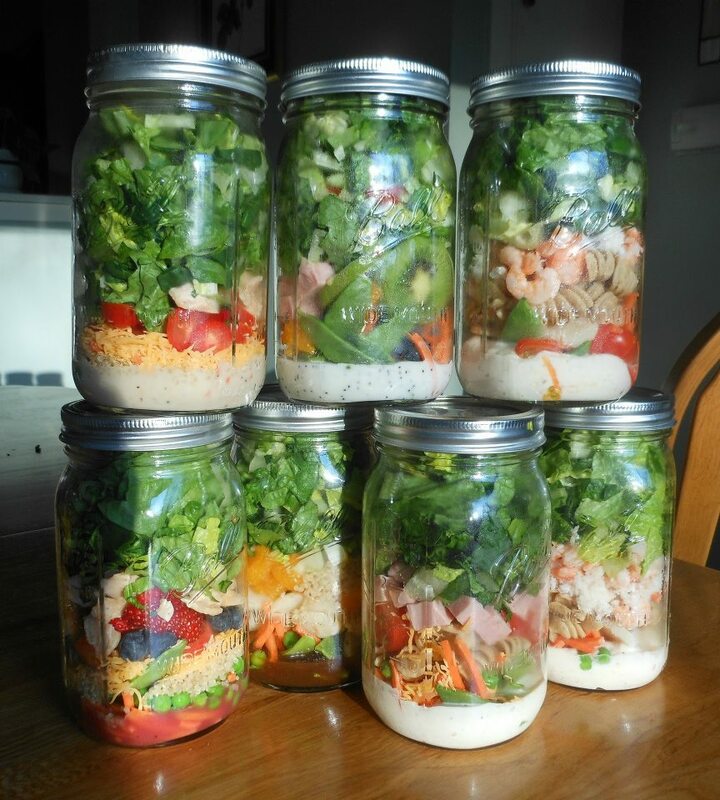 Dorset Hill Beads: SALAD IN A JAR? from Mayra Cavazos Facebook page. Utterly brilliant. Not only does SALAD IN A JAR save space in your fridge, it also reduces food waste. You can make any arrangement you want… you can add red onion, cucumbers, radishes or peppers. Always remember to put the dressing at the bottom and the lettuce at the top—a MUST.